Peder Gellert Pedersen. Image Credit: Monjasa. Danish bunker company Monjasa has beefed up its board of directors with the addition of Danish shipping executive Peder Gellert Pedersen. 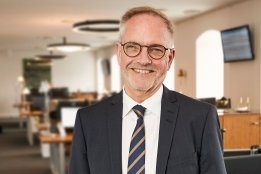 Pedersen, who is executive vice-president at ferry operator DFDS ferries, a post he has held since 2010, becomes the fifth member of the board joining chair Christian Merrild,Tage Bundgaard, Flemming Ipsen and group chief executive Anders Østergaard. "Overall expectations to bunker suppliers are increasing and Pedersen's understanding of maritime shipping and logistics from his daily leadership in the DFDS Group is an important contribution to Monjasa," said Merrild. Monjasa's recently published annual report posted a double digit increase in volumes and a small profit.